Formed by members of two Belfast bands, Shock Treatment and Guilty Achievements. 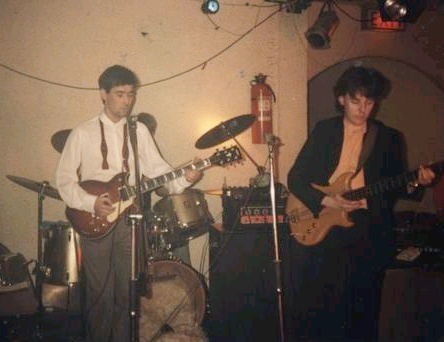 Five Boys were highly active on the mid-80's Belfast scene and were famous for playing a brand new set (often in a new style) every time they launched a new spate of gigs. The lineup show above is the most stable five-man lineup, which played modern pop influenced by Van Morrison and Northern Soul. In 1986 they began playing in a heavier, funkier style and became Big Electric PLC.